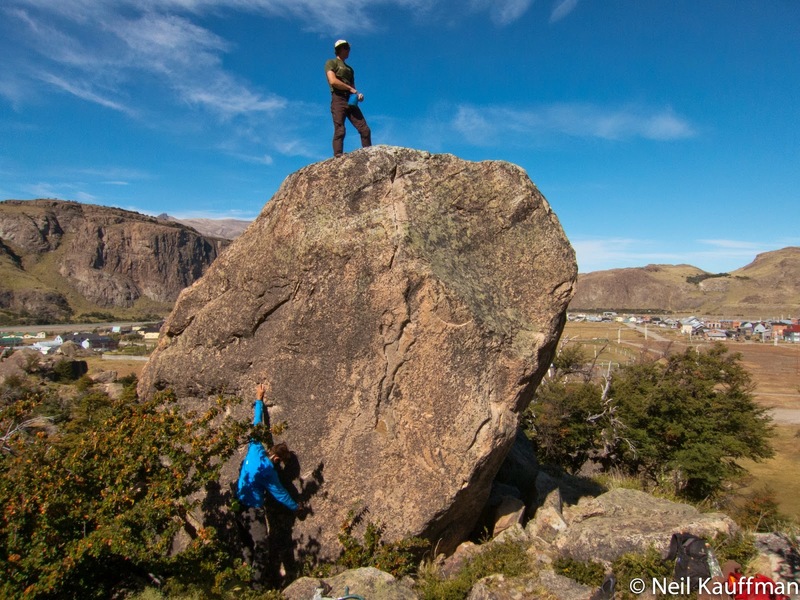 The opposite of alpine climbing, bouldering! Thanks Jane for the ride!! Joel after crossing the Rio Pollone, always a stimulating ford! 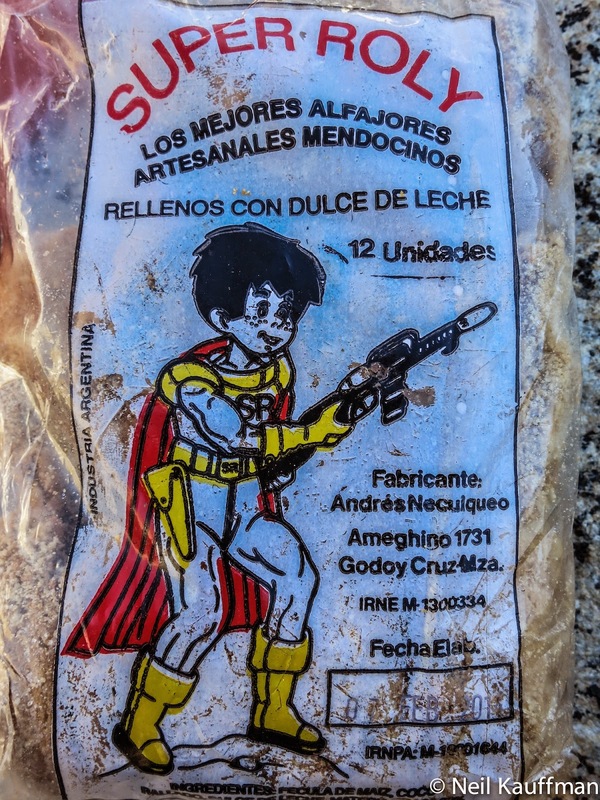 You will feel like this little dude after eating these really great alfajores! 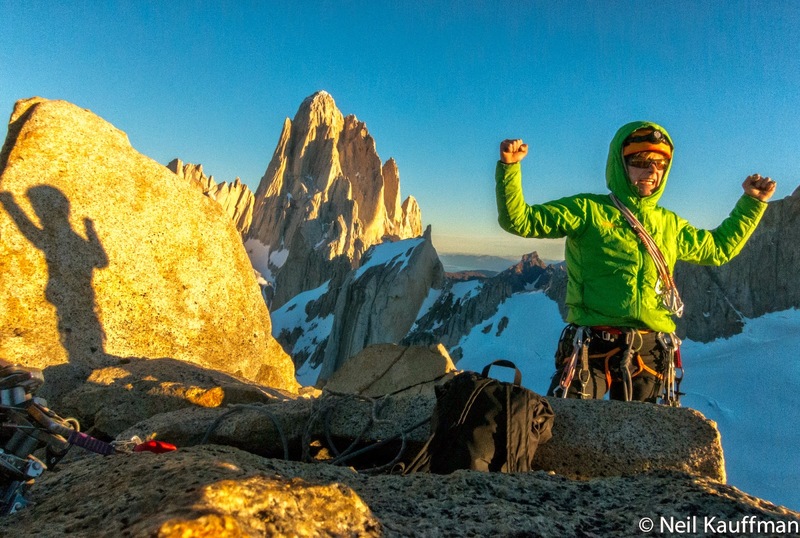 Happy to make the summit! And finally back to bouldering!! 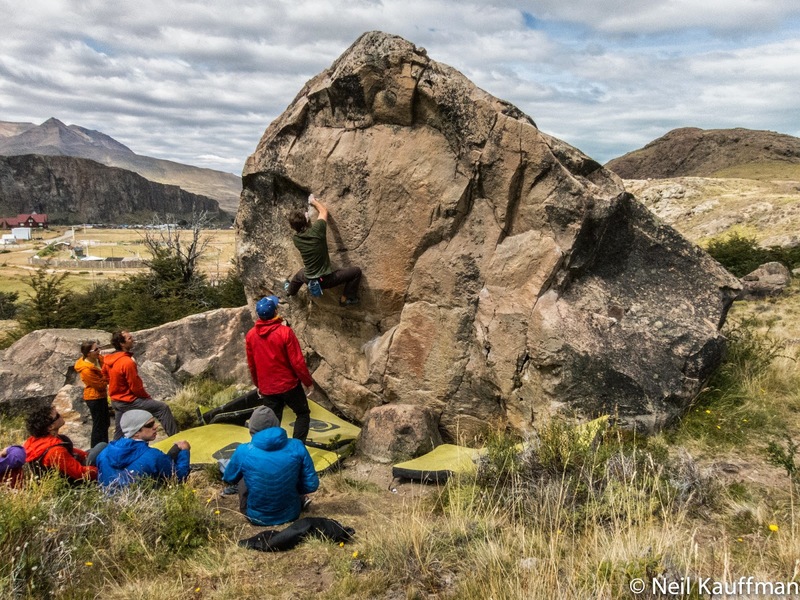 It had been a great season for bouldering, which is basically the opposite of mountain climbing. 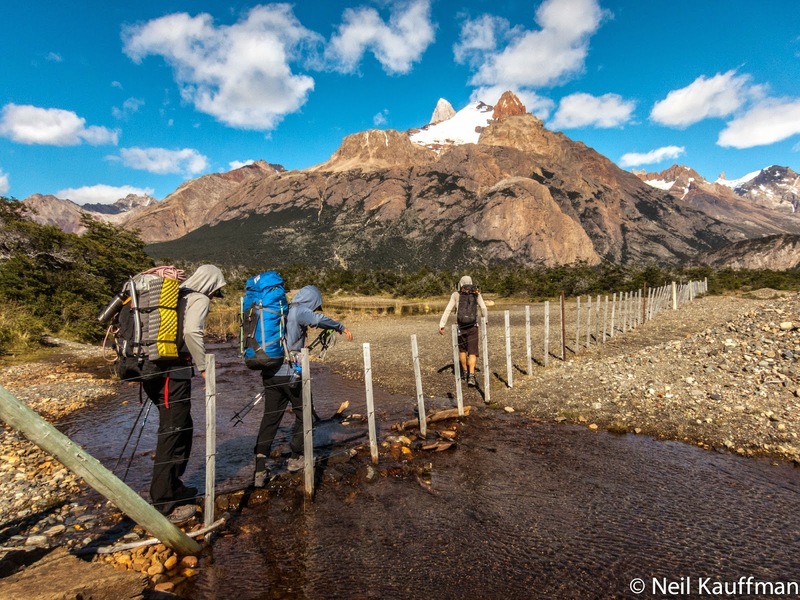 The weather plays with your mind in Patagonia. After weeks of waiting, excitement grew to a frothy head. 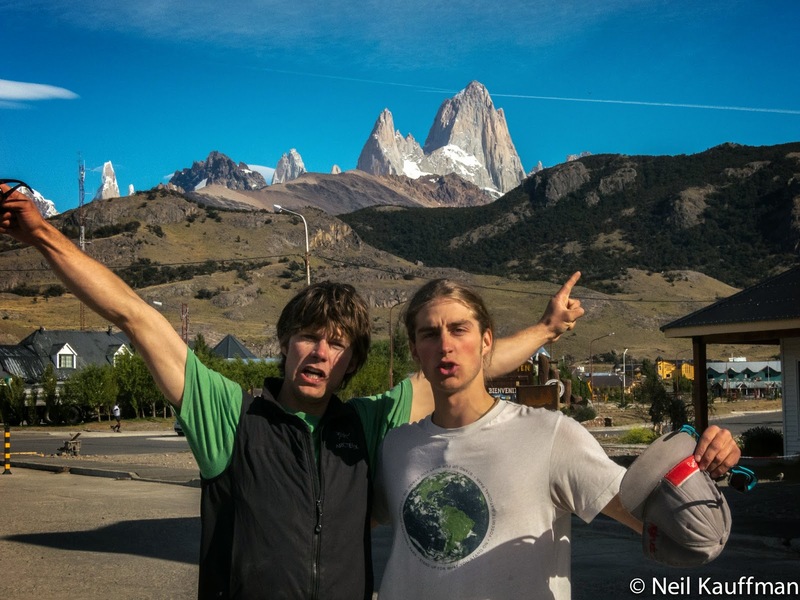 Finally, at the end of February, two good, 4 day weather windows were gifted to hopeful climbers living in El Chalten. Maintaining perspective in this mental environment conjures inner strength and limitless patience. 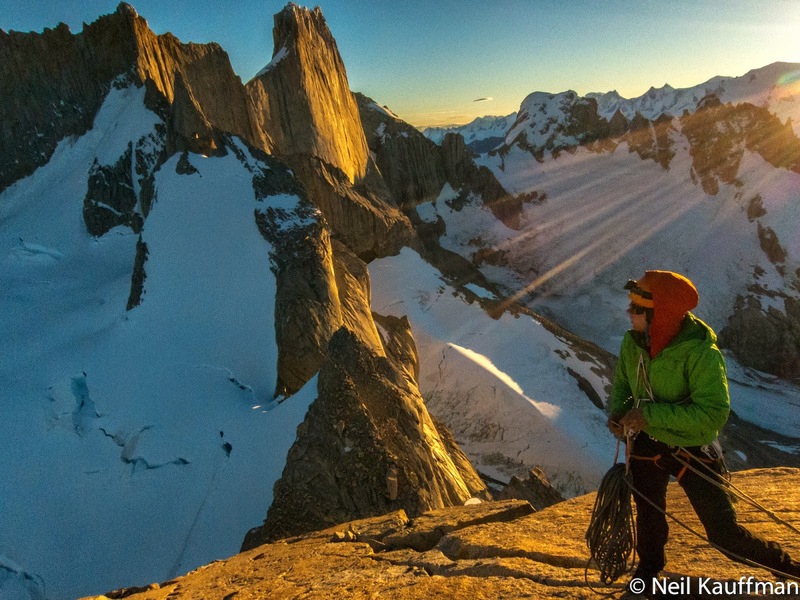 Confronting the ego is the biggest game in alpine climbing. But doesn't the ego also motivate? Can you desire without feeling its force? We set out in the first day of the window on Feb 12. 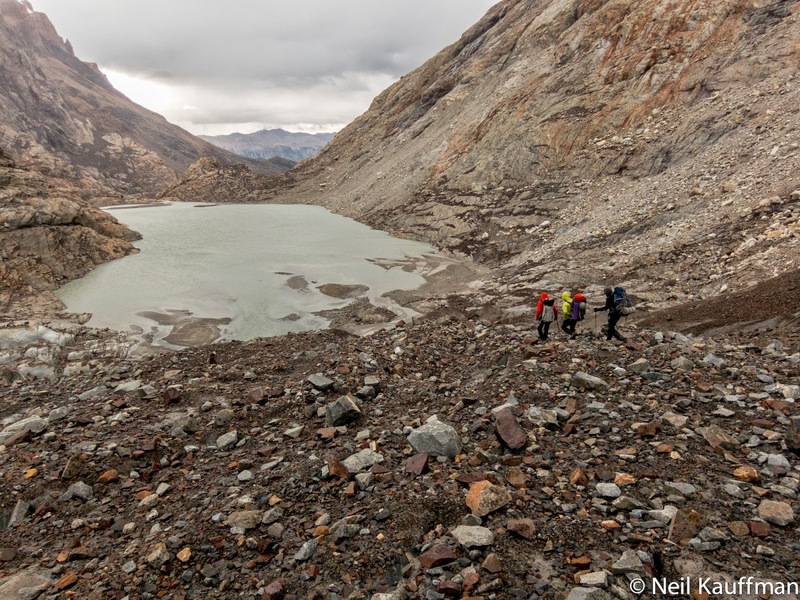 With no gear cache, we carried heavy loads onto the Marconi Glacier. 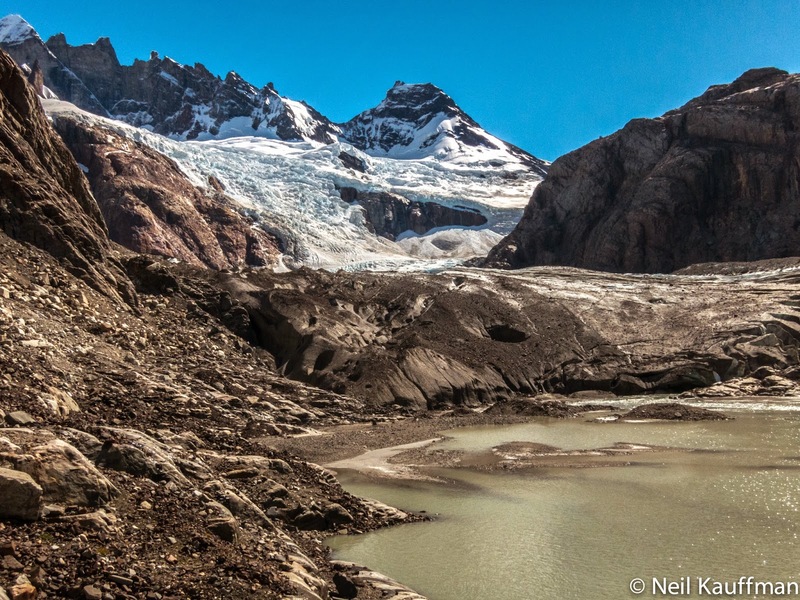 Base camp here on the lateral glacial moraine below the Gran Gendarme had become a familiar place over the years. But the ground was always shifting, falling apart and changing its face. Beat down after a long heavy march, we rested on the 13th, enjoying a miraculous day lounging on giant, flat granite blocks in camp. The mountains were covered in ice after the last storm. 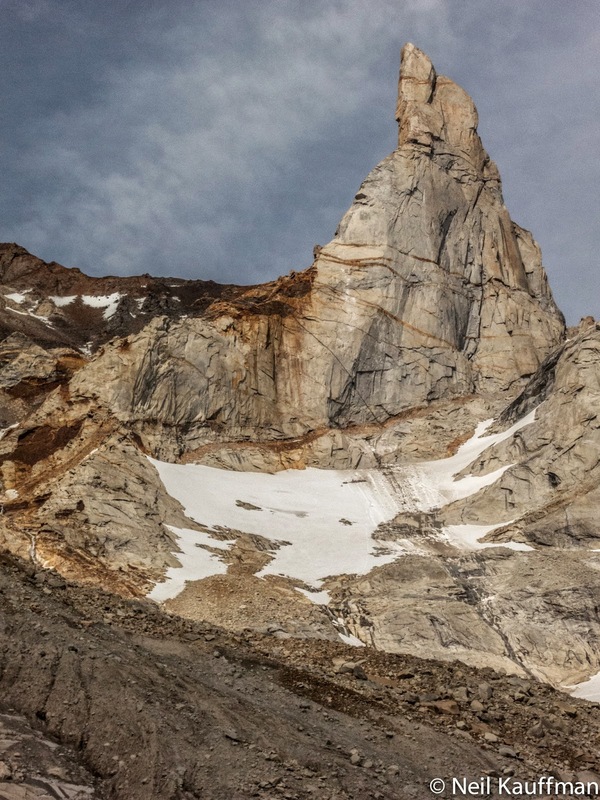 The only peak left dry was the Gran Gendarme, an amazing spire of granite, perched high above camp. 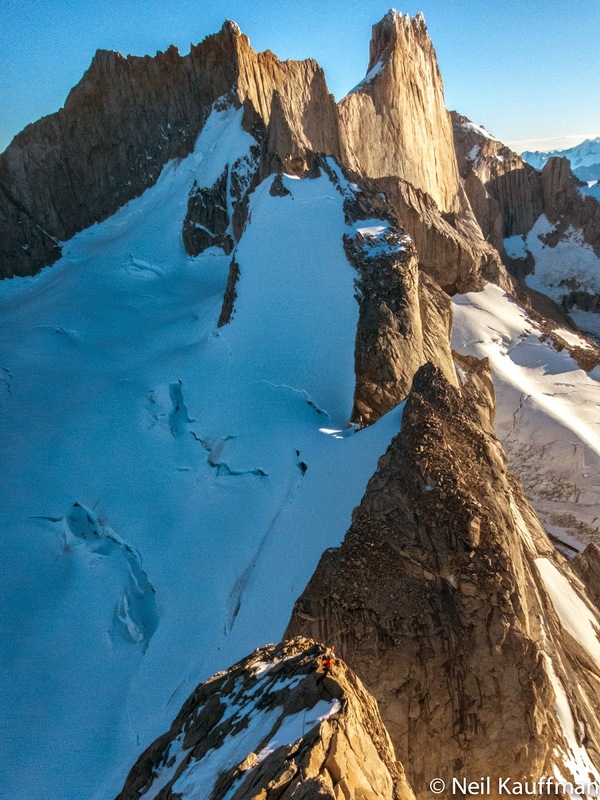 Feeling better, we set out at first light on the 14th in a light but nagging breeze to try Carsten von Birckhahn's route "The Perfekt Day". 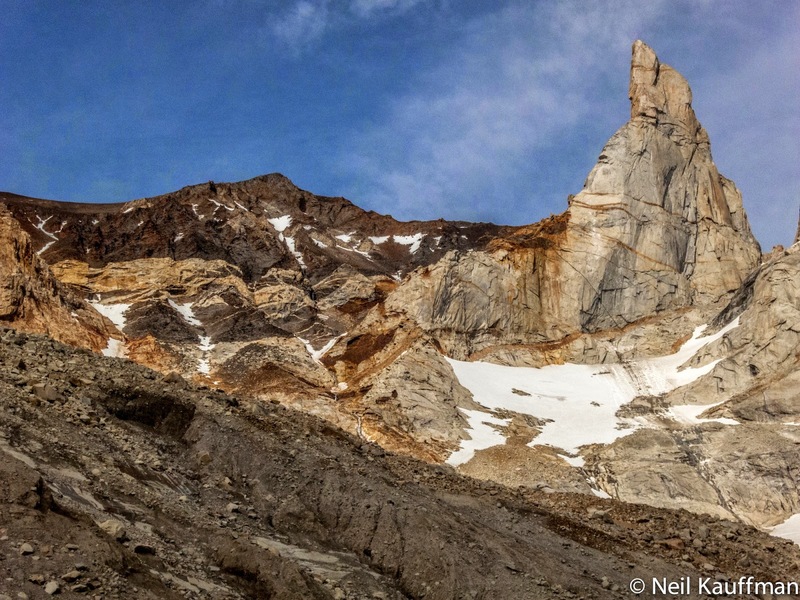 Everything in Patagonia is bigger than it looks, and that quickly becomes apparent as you hike up the mess of boulders below these beautiful towers. 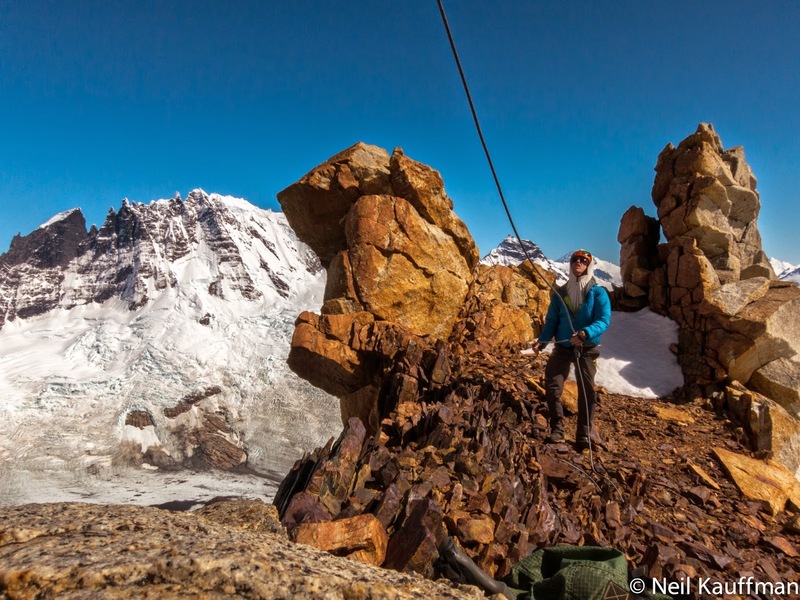 After four hours, we roped up for a short pitch through a loose, red shale band. Another better bit of climbing through the metamorphic rock brought us to a ridge of wonderful granite. 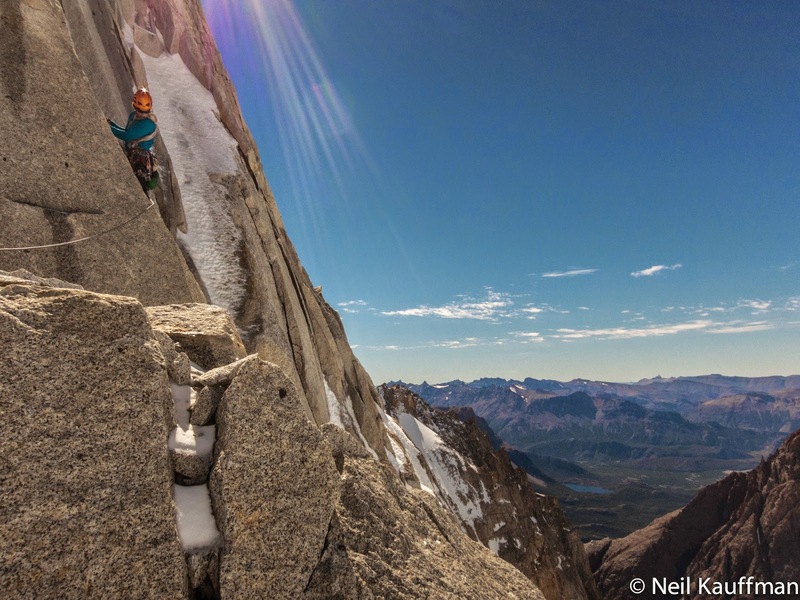 We climbed fun alpine rock in an incredible setting for a few pitches as the wind pushed us around. 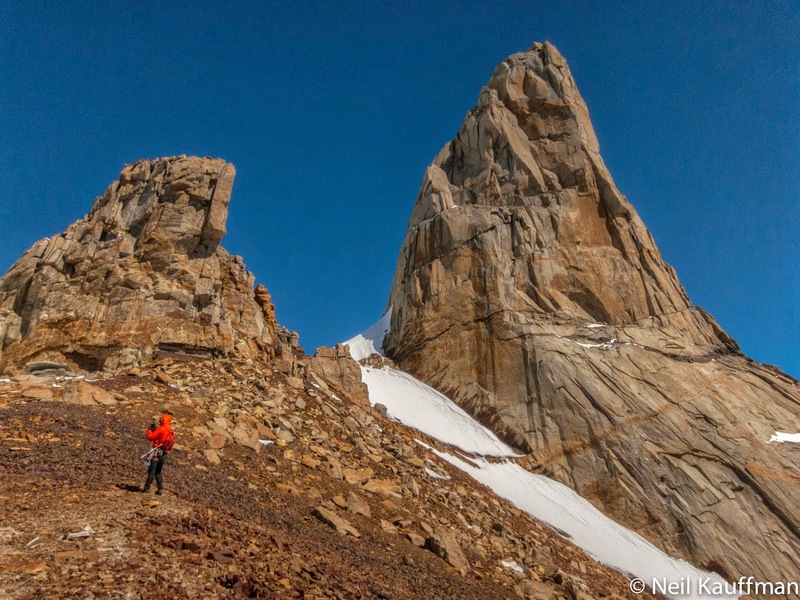 Then the ridge meets the talus and we hiked up to the headwall of the tower. Carsten had told us about an amazing 3" crack on the red and gold granite. From here we could see it, an incredible splitter, the stuff of dreams. By now the wind was shoving us with its force. We both knew what it would be like up there and weren't into the suffer factor that alpine climbing sometimes demands. We hiked to the highest ridge, extending to Loma Blanca, ate some food and waited in vain for it to settle down. 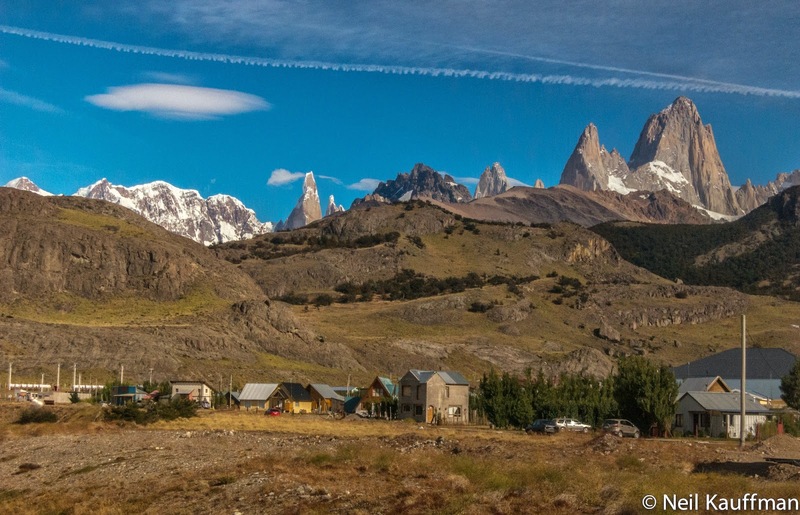 From here, we had a direct view of the west side of Fitz Roy. The whole upper part of the mountain was plastered in rime. Wondering how our friends were doing, we wished them well. 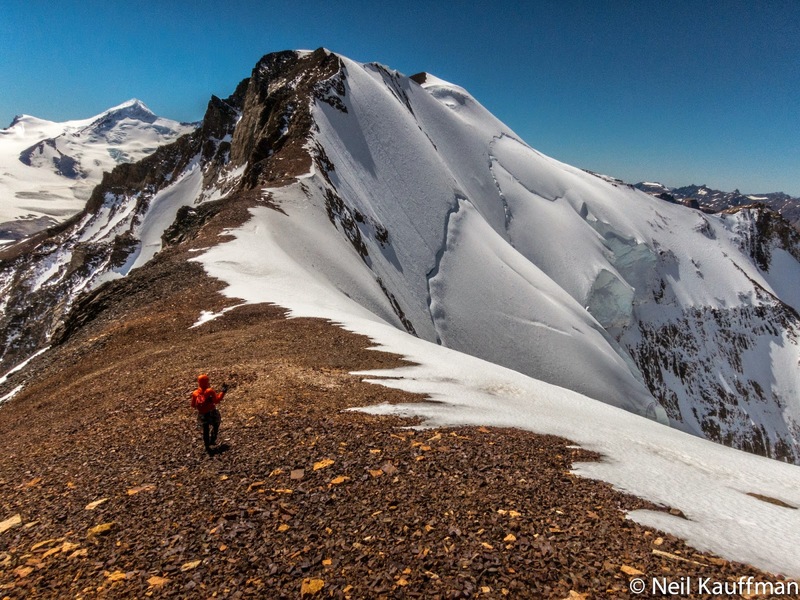 As began our descent down the gully paralleling the ridge we climbed, two large blocks spontaneously fell off the choss slope that is Loma Blanca and tumbled down the slope, slowing in the sludgy, soft snow. Watching from a safe distance, we reminded ourselves to be fast and stay sharp. 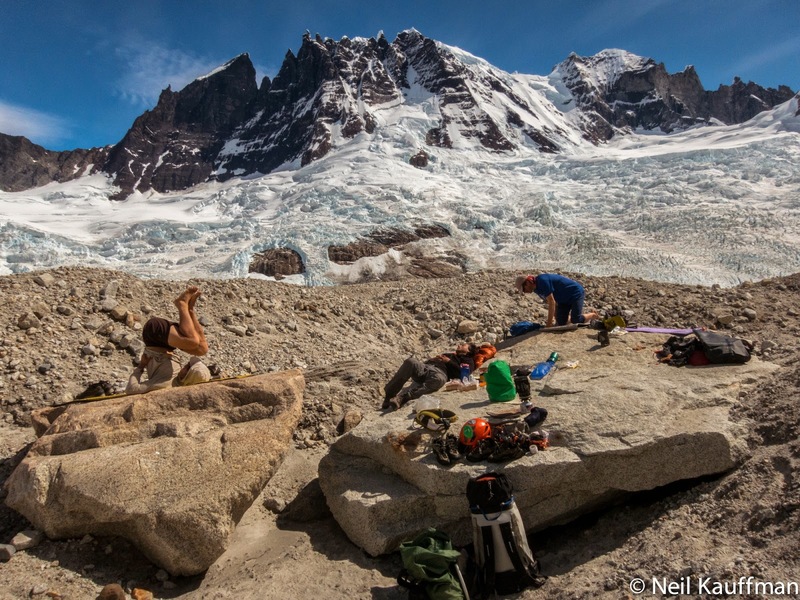 Reversing the jumble of boulders back to camp was a weary task. My legs were exhausted. So much hiking for just a bit of actual rock climbing. That's mountain climbing for ya! 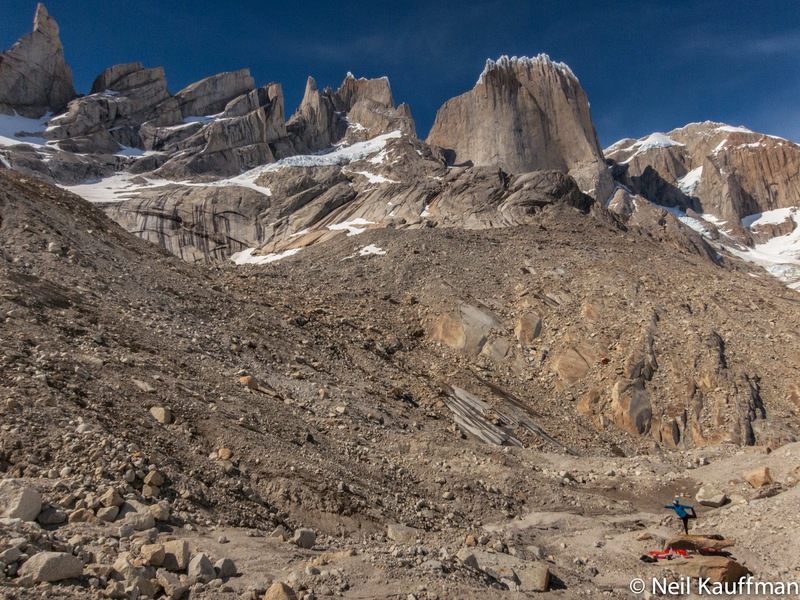 We returned to El Chalten to the news of Chad Kellogg's accident on Fitz Roy. 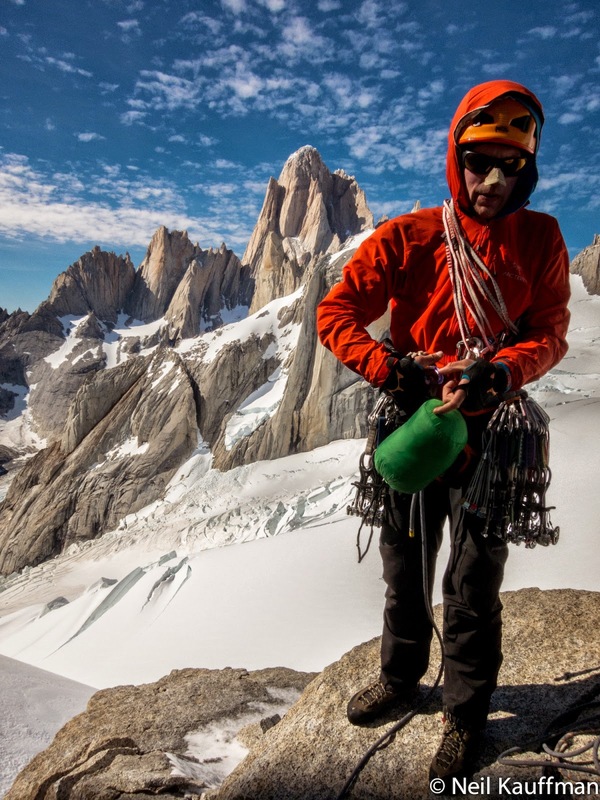 I talked to friends who shared the route with him, sharing belays all the way up. In the end, they turned left, he turned right. Jens dodged the rock, Chad couldn't. People are always searching for the meaning of death. But it's the meaning of life that matters. We're here to experience love. That is the most precious gift. Death is only a reminder that the present is the only true reality. When the second weather window showed up, it was a tough choice to return to the mountains. The risks of mountain climbing just didn't seem worth it. We reasoned that we could stay safe by making good choices, but in the end, there are always elements beyond control. 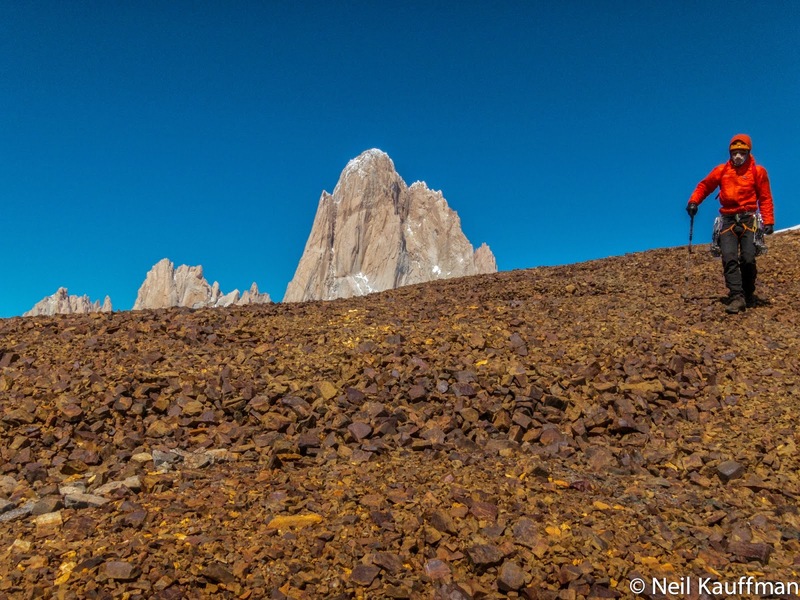 This time, we hiked into the Marconi Valley with our friends Mike Collins and Jonathan Schaffer. 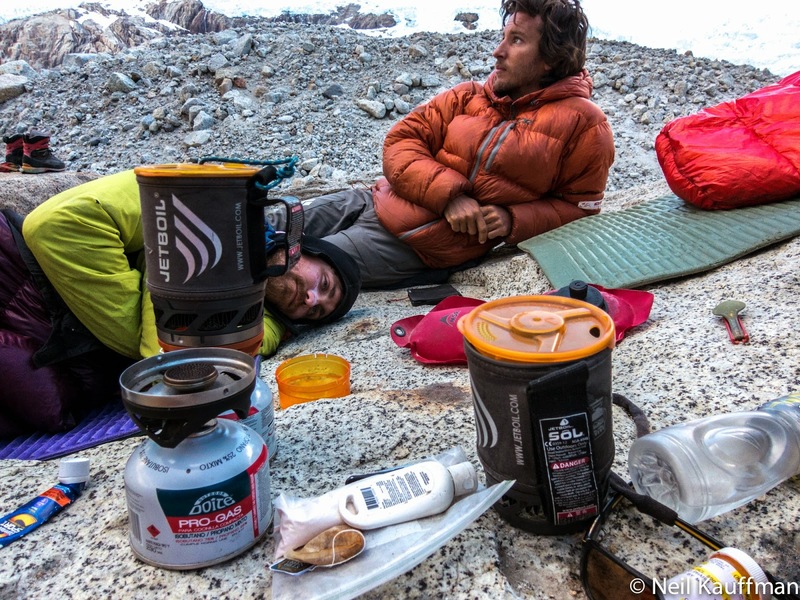 Joel Enrico and Adam Ferro had hiked in the day before and we joined them at base camp. 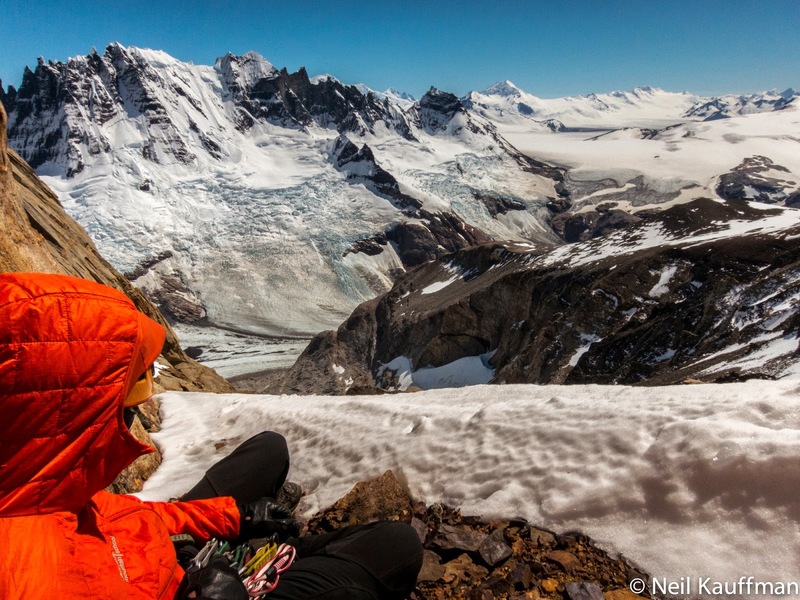 It was really fun to share the mountains, so often alpine climbing is an anti-social activity. 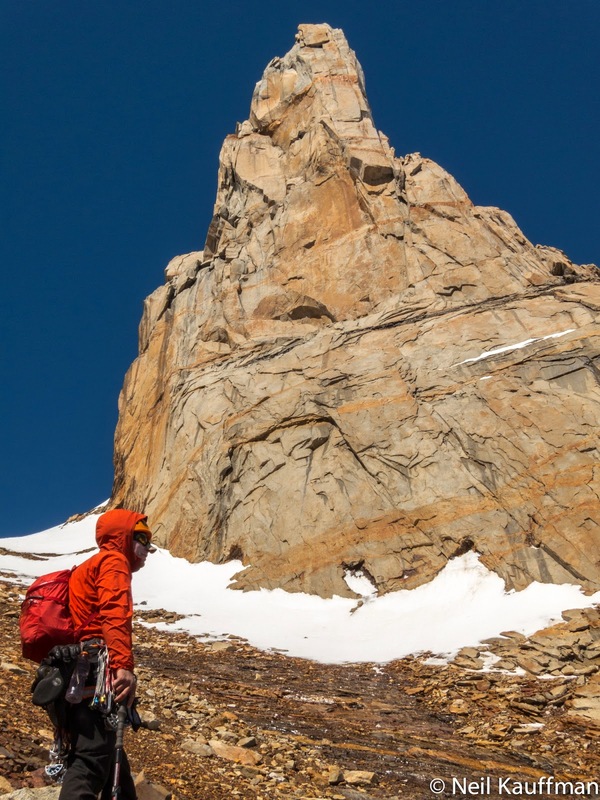 We set off, back to the Gran Gendarme, this time going to the South face to try Carsten's route "No Entiendo". After 5 hours, we had reached the start of the climbing. At the col there was still heavy wind, but the route stayed protected. 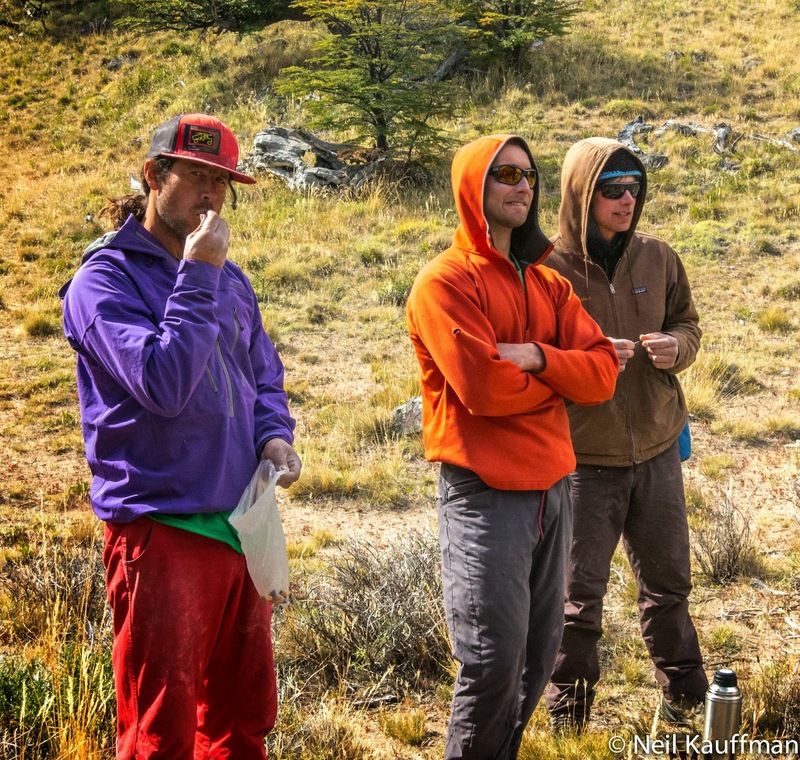 This is often the case in Patagonia, where aspect determines conditions. Receiving little sunlight, this side of the mountain was pretty snowy. We brought only rock shoes, and using one small ice tool, cleaned snow from cracks. The climbing was slow and classically alpine. Joel started, leading two pitches of good climbing. 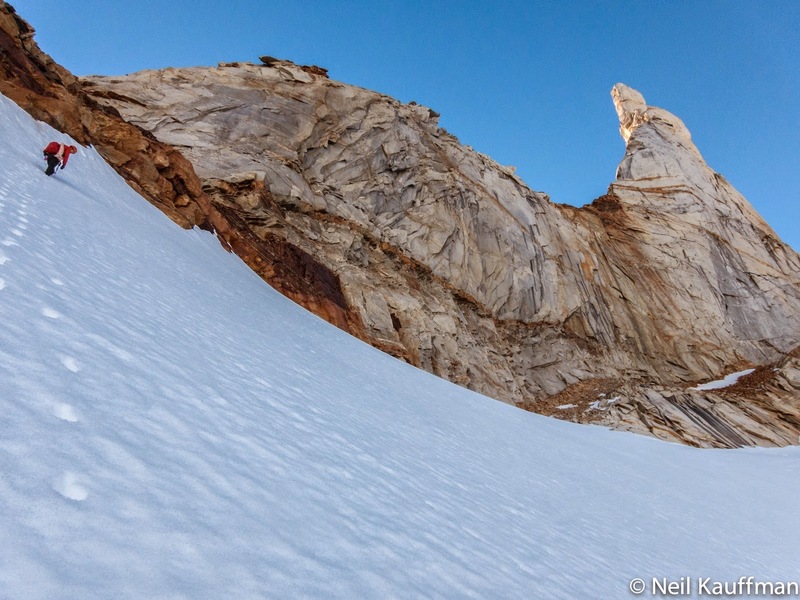 At one point, I down climbed a snow runnel, kicking steps and slipping around in rock shoes. I led a hard fingers corner with stemming, accessed by traversing across an ice dagger. Trying to free the next pitch took me to the limit. 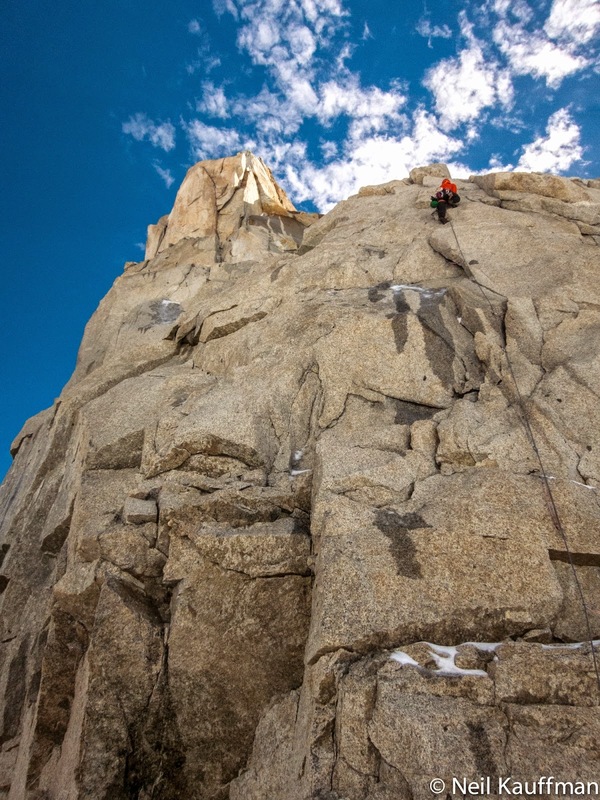 A thin seam split the clean granite, offering little confidence to try hard moves. I made a belay and brought Joel up. This was the pivotal moment in our ascent. 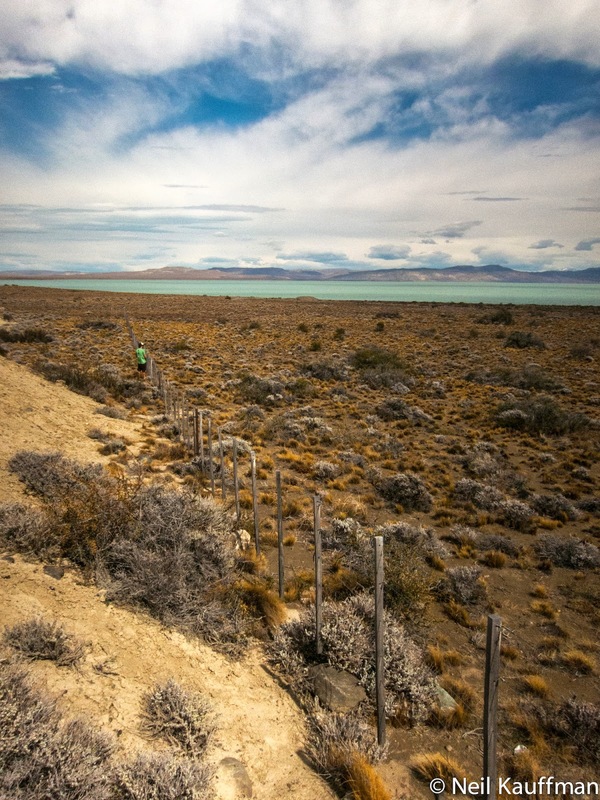 Joel set off and completed a long aid lead to overcome the passage. I barely freed it going second, making desperate slab moves and crimping the occasional pocket in the seam. On the next pitch I led an exposed ridge with fun climbing to the summit block. 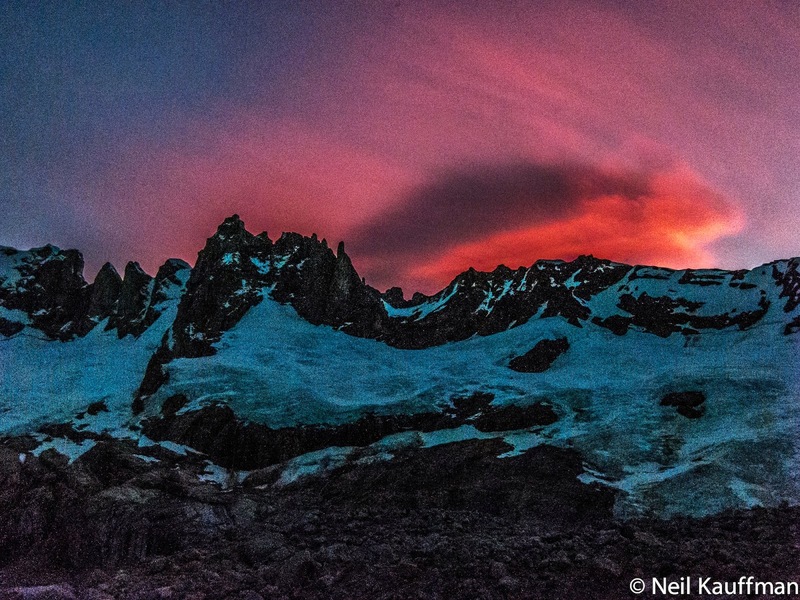 We unroped and bouldered the final meter in the fierce orange alpenglow. 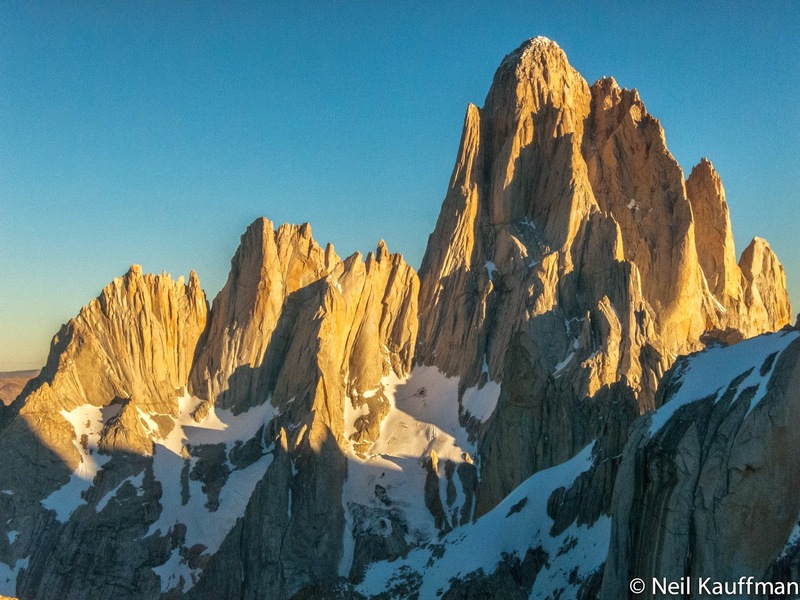 To the east, the spires of granite glowed against the whiteness of the Ice Cap. 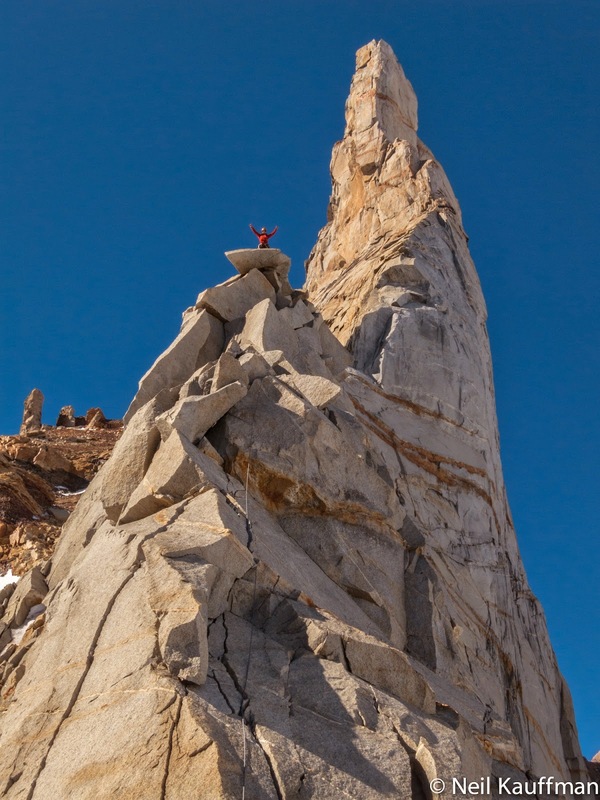 We were on the very edge of the granite, the last spire in the pluton. 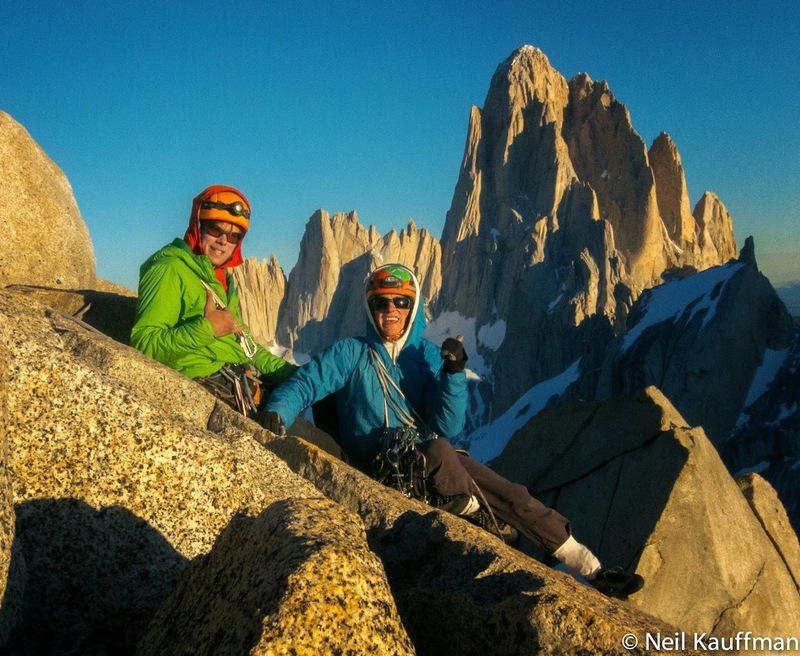 It was a windless, beautiful summit, and we spent some time relaxing and taking it in. 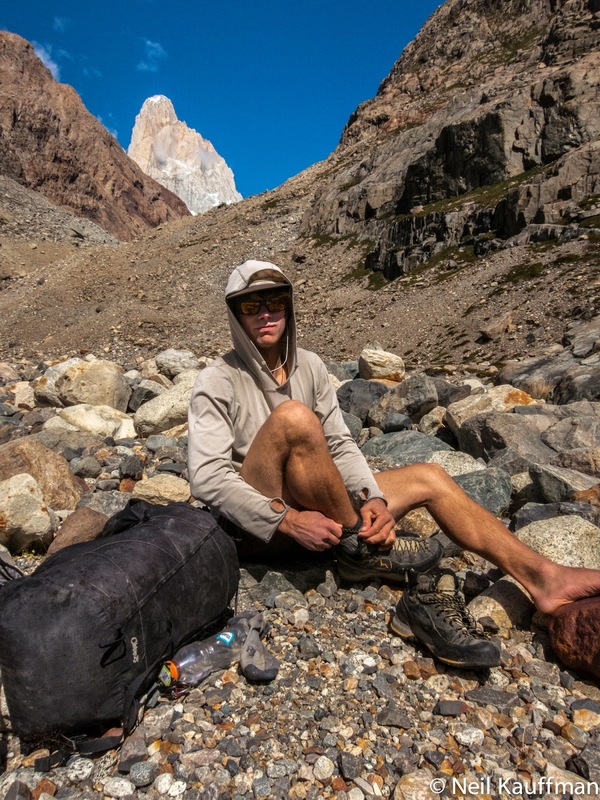 Thinking about Chad, I could feel his spirit, resting in the wildest mountains on Earth. 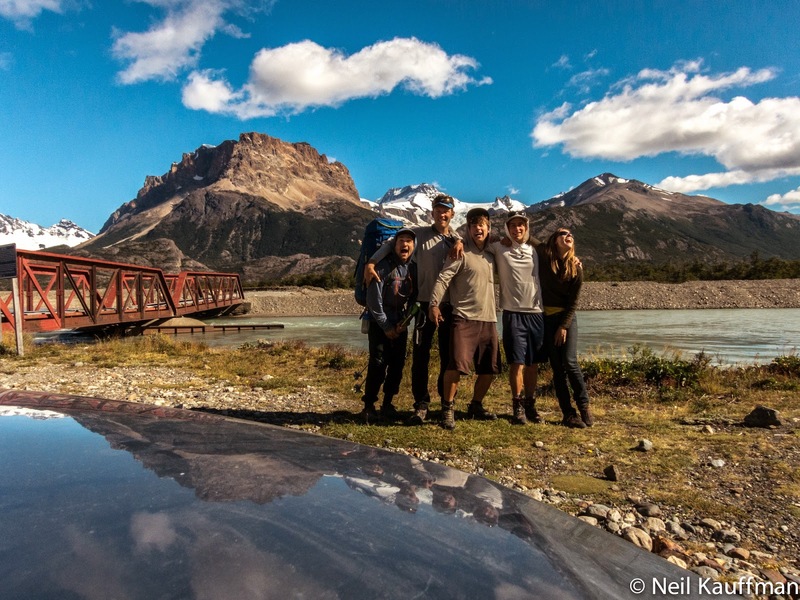 When we returned to camp early the next morning, Marcus, our Australian friend and long-time Patagonian character had found us to boost morale. 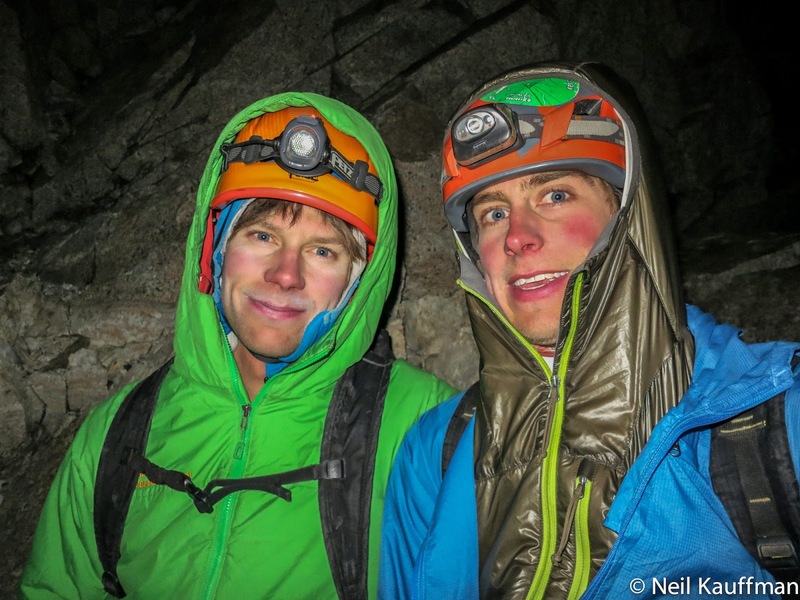 In the early morning hours, Joel and I jumped from the tent, startled by the sound of a massive rockfall. Looking toward the roar, we saw a giant block rip off the face of the Gran Gendarme and sweep down the hill. It was a sharp reminder of the forces that cannot be controlled. We spent the next day enjoying the scenery and sharing stories with Enrico and Adam, who climbed a new route on Torrecito Tito Corrasco. 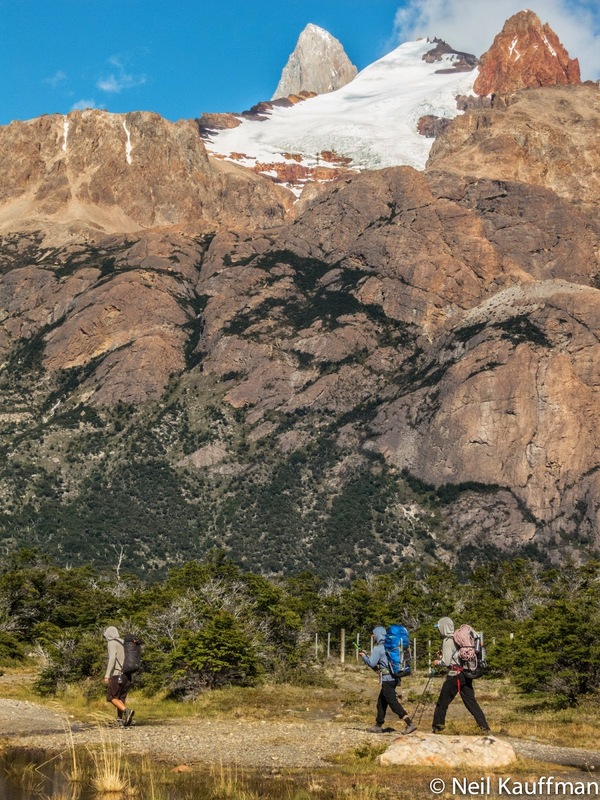 Hiking off the glacier in the rain and back to El Chalten, I was ready to go sport climbing. The mountains always offer such an intense experience. That is part of the beauty of visiting them, and this experience of fully living in the moment creates lasting memories. And in the end, that's what we have, a little story book of our lives written by the memories we make. Chad's book is an excellent read.